Pineapple on pizza is an insult to the Italian origins of pizza. the home of Pizza culture, no pizzaiolo accepts pineapple as a topping. ansa.it . As such the traditional recipe should be respected. A yeasted flatbread that does not stick to pizza traditions shouldn't be called pizza. Italy has the best cuisine of the world.. 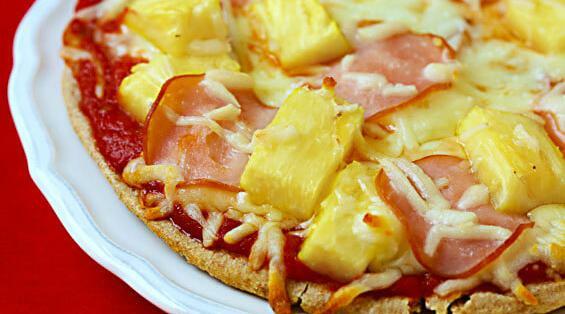 It doesn’t, as pineapple is a Hawaiian fruit and pizza is not Hawaiian, it's Italian. In areas where pizza is considered a traditional food, such as Naples, New York, or Chicago, people might be less likely to accept novel toppings than somebody growing up without a strong pizza culture. Experimenting with new ingredients is an act of homage toward Italian cuisine, and should not be held hostage by the preferences of cultural elitists. pizza wurstel is ok, pineapple on pizza must be ok, too. Pizza in the 21st century is significantly different to the original food. Whilst the name has stayed the same, the way it is prepared and eaten has radically changed. It has evolved as we as human beings have evolved. did not originate in Italy. Sticks and stones may break your bones but someone eating a pineapple pizza will never hurt you. We don't have to call it "authentic Italian" but one only needs to look at other yummy foods such as sushi and how they've been reinvented in other cultures with moderately tasty results. It is horrible that one needs to go through trying not to offend anyone through being politically correct towards Italian culture when deciding which pizza to eat. Pizza's origins did not involve pineapple mainly because pineapple did not exist in Italy at that time. Thus, if pineapple was 'at the right place and at the right time', then it might've been incorporated into pizza then and no one would be insulted now. styles of pizzas have Italian origins, but pineapple doesn't insult any of them, as when pineapple's on pizza, it's a new style of pizza altogether (as with Hawaiian pizza). Origins do not have feelings, as they are not people. Thus, origins cannot be insulted, even when one puts pineapple on their pizza.